John Sylvan invented the American coffee pod and started a multi-billion dollar company. But he’s full of regrets about their environmental impact. Actions, as well as in-actions, have consequences. I presume he made quite a bit of money off his invention, but it seems he’s not really a happy or happier person for it. That’s unfortunate. The key to understanding what happened with coffee pods is to realise that people aren’t actually buying coffee. 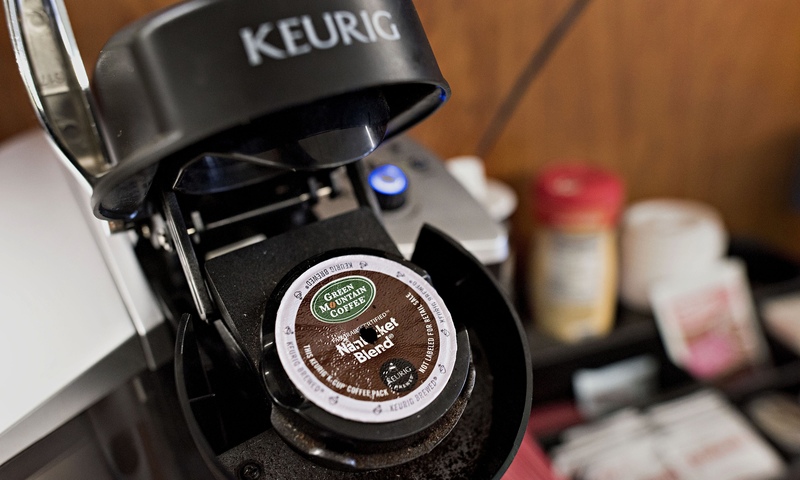 So, what are people who buy coffee pods (and the machines that take them) actually buying? Convenience. And that, sadly, also explains why the coffee pods recycling efforts don’t work: they detract from the experience of convenience. The fact that there’s a market for some stuff doesn’t mean you have to jump into it – some things are just not good when you think it through (in a “what am I really selling” context). But it depends on what you want to achieve. Ironic? To say the least. If you’re part of the problem and actively contributing to it, don’t try to sell me a solution. That’s just obnoxious. That company instantly disqualified itself from ever getting any business from me. There are always alternative offerings, so I vote with my feet&wallet. For years I’ve had a notice at my front door, which has been very effective in warding off sales people and other unwanted stuff. Friends would comment on it, and so recently I chased up the option of getting the sign printed. Finding the right material wasn’t entirely straightforward, as since it’s outside it needs to be weatherproof. The solution turned out to be getting it printed on colorbond steel – that makes it a bit more costly, but it looks good and is definitely durable. The sign is now available for pre-order at http://hawkersnotice.com/, with shipping available within Australia and to New Zealand, USA and Canada. This idea neatly fits the Upstarta principles… a little niche market is identified and explored, essentially without up-front investment. It also addresses a key issue that many people have with sales techniques and spam. The “limitation” on shipping destinations comes from the fact that the text mentions dollars, and of course (to a degree) the English language. A manufacturing run does cost, so there need to be sufficient orders to make that viable. That said, other editions are a future possibility. The person who initially received my reply forwarded it to their business associate, who then emailed me telling more about his company’s products and asking to connect with me on LinkedIn to establish a business relationship. I responded, noting it was a pity he didn’t actually read the email that was forwarded to him, and that I was not in the least bit interested in connecting with a company that neither listens nor respects others (or local laws), and merely pushes its wares. He replied again, saying that he did listen but at the same time still plugging his goods. He told how he had acquired a database of email addresses. In addition he merely expressed sorrow that the initial mail offended me somehow, apparently not at all getting the point that it wasn’t about offense but about invalid business practices and breaching local laws. I left it there as further correspondence was clearly futile. I believe the *only* valid reply would have been to unequivocally apologise, appreciate that using purchased email lists tends to put you on the wrong side of the law in Australia, and to not mention/plug his products anywhere in that email. But, I suppose some people regard any communication as a sales lead. From my perspective, it’s a typical profile of the worst type of sales people, not the type I ever want to do business with. Clearly all they care for is the sale, not the client.